Kenya Power & Lighting Company (KPLC) has made major manager changes of its top management. 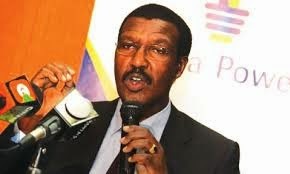 The executive bench answering directly to the CEO have been reduced from 14 to 8 in new sweeping changes by new CEO Dr. Ben Chumo. The changes, with insiders only, have occasioned unease and were preceded with resignation of at least one top manager Mr Sammy Muita. Former Chief Managers will now be called General Managers in charge of divisions. Eng. Benson Muriithi former Chief Manager, Energy Transmission has been appointed General Manager, Network Management Division. Eng. Peter Mungai Kinuthia formerly Power System Planning Manager has been appointed General Manager, Business Strategy Division. Eng Stanley Mutwiri formerly Chief Manager Projects becomes General Manager in charge of Infrastructure Development Division. Eng Peter Mwicigi formerly Acting Chief Manager, Regional Operations has been appointed General Manager, Regional Coordination Division. Eng John Ombui former Chief Manager in charge of Supply, Chain & Logistics has becomes General Manager in charge of Supply Chain Division. Mr Joshua Mutua previously Acting Chief Manager Customer Service becomes General Manager Customer Service Division. Ms Regina Karauri has been appointed Internal Audit Manager. Sources indicate that the General Manager for Human Resource Division where Dr Chumo previously headed will be advertised. The changes will see 6 former Chief Officers report to their former colleagues, two of them who were “junior as they were still acting in the Chief Officers positions” lamented one source which didn’t wish to be named.